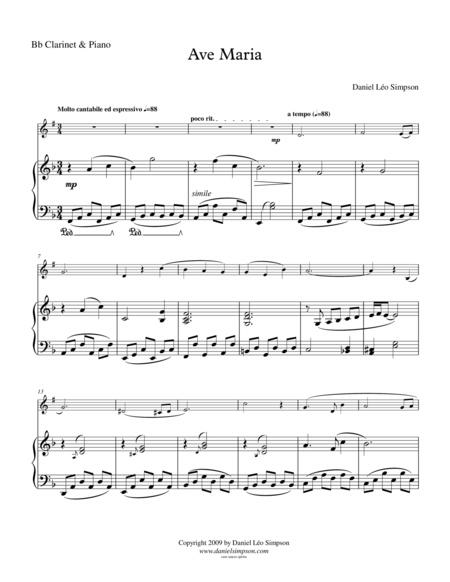 Composed by Daniel Leo Simpson. 21st Century, Christmas, Easter, Wedding. Score, Solo Part. 9 pages. Published by ScorePerfect (S0.22257). The hauntingly beautiful "Ave Maria" by San Francisco's award-winning composer Daniel Leo Simpson is a new setting of the traditional sacred text (in English) and an exciting addition to the repertoire. Arrangements are available for all voices, typical choir formats and instruments with easy keyboard accompaniments, or, request an arrangement if you don't see it listed! This timely classic will warm the hearts of players and audiences alike and is suitable for weddings, church, recitals and educational opportunities for teachers and their students. 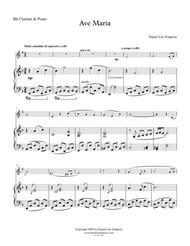 With it's serene melody and moments of bold, dramatic climaxes, this piece will not disappoint.